NarniaWeb Community Forums • View topic - Narnian World - round or flat? Narnian World - round or flat? Okay, so I've just been reading VDT, and at the end of chapter 15 a discussion arises about the edge of the world. Is the Narnian world flat like a table-top, or a sphere like our world? My question is this: Did Lewis actually say it was flat, or did he just raise the possibility that it could be? It seems to be generally assumed that he meant it to be flat. But so far, I've missed any definite evidence to prove the matter, at least in the books. Has this been discussed before? Is there anything that Lewis wrote elsewhere, to support one theory or the other? Or by others who know his writings well? Re: Narnian World - round or flat? ... I had always assumed that Caspian knew what he was talking about, but now I'm questioning everything. I did find an old locked thread in GMD about this: Flat Worlds. Lirenel has an excellent post suggesting that if Narnia wasn't flat, the centaurs would have surely known it from their faithful observation of the skies. It is curious that Caspian would have such a strong conviction about Narnia having a particular shape when the Telmarines were holed up away from the sea for so many generations. It does occur to me, though, that he is ultimately descended from pirates from our world, and it seems to me that one of the first things a seafaring island-dweller would notice upon coming to Narnia is that the sea doesn't have the same curvature that is easily seen in our own world. So he may have gotten this knowledge from them. Conceptually, I tend to link this idea with the difference between the stars in our universe and the stars in Narnia. Everything in Narnia seems much more closely entwined with mythological perspectives rather than the strict materialism that runs rampant in our world. 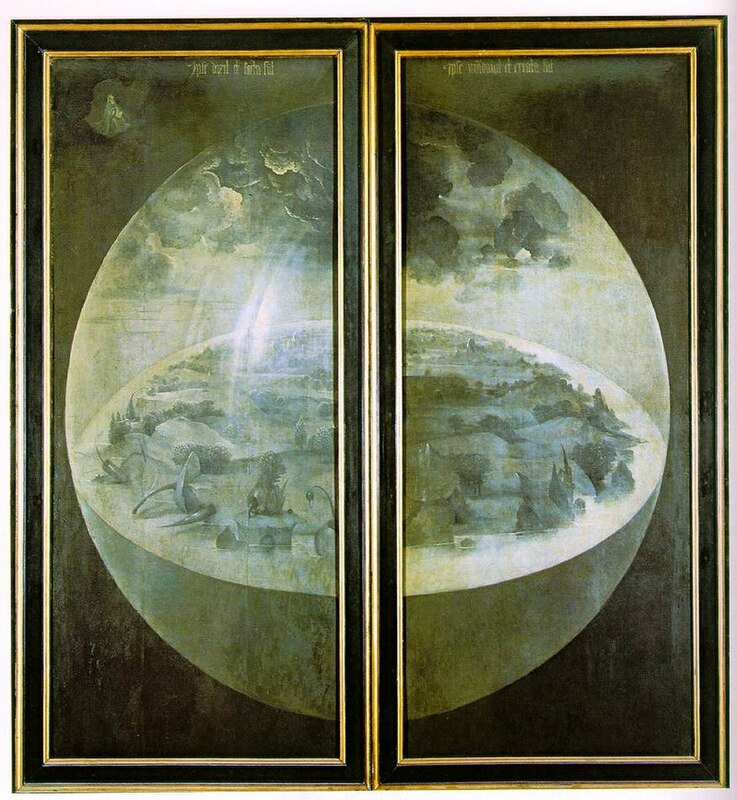 Even though nearly all scholars of the Middle Ages knew our earth was round, you would still see depictions of a flat world in artwork. I think, through Narnia, Lewis was trying to inspire the imaginations of his readers in the same way as those medieval artists. The-Rose-Tree-Dryad wrote: Lirenel has an excellent post suggesting that if Narnia wasn't flat, the centaurs would have surely known it from their faithful observation of the skies. Not necessarily. . . . the Centaurs would have been able to tell by looking at the stars of OUR world that OUR world was round, but if they only sky they'd ever studied was that belonging to a flat world, then they would have considered such astronomical differences to be commonplace. If the Narnian world is truly flat, it does raise some questions. . . In our world, if one buries deep, deep down, you'll eventually come to the core of the earth, and start "emerging" on the other side of the world. If the Narnian world is flat and one was to dig ever downward, going through the shallow lands, and bism. . . how far down does it go? What's at the bottom? Is there another side? How does Narnia experience seasons? The seasons on earth are due to our tilted axis in relation to the sun, but if there is no axis to tilt, how are seasons present? Where do the sun, moon, and stars go once they've set in the eastern or western sky? Thanks for digging that up, Rosie . Interesting points, though I'm not quite convinced. Not that I would say it isn't a flat world, simply that Lewis didn't explicitly state that it is. Rosie wrote: It is curious that Caspian would have such a strong conviction about Narnia having a particular shape when the Telmarines were holed up away from the sea for so many generations. It does occur to me, though, that he is ultimately descended from pirates from our world, and it seems to me that one of the first things a seafaring island-dweller would notice upon coming to Narnia is that the sea doesn't have the same curvature that is easily seen in our own world. So he may have gotten this knowledge from them. Conceptually, I tend to link this idea with the difference between the stars in our universe and the stars in Narnia. Everything in Narnia seems much more closely entwined with mythological perspectives rather than the strict materialism that runs rampant in our world... I think, through Narnia, Lewis was trying to inspire the imaginations of his readers in the same way as those medieval artists. I might never have known that our world was round, if I hadn't been told. Perhaps that is because I'm not a very scientific, observing person. As to the stars, again it was Eustace (thanks Eustace!) who brought out the scientific side of stars--ie, balls of gas. Ramandu challenges this concept--regarding the stars in our world, not his own. It seems to me that Lewis was not concerned with setting up the rules of his world (a la Tolkien) but more that he wanted us to test our everyday assumptions--to think, not merely to accept blindly. Maybe that's a simplified way of stating it--sorry! Round or flat, the end of the world was not what they expected. Like DiGs pointed out, the water went up, not down, in a continuous wave. And was Aslan's country a ring? Maybe Narnia was a sphere--only they were inside it And Aslan's country was around the "rim" of the saucer, the top half, that is. It's always seemed clear to me that the world of Narnia was flat, based of what we learn at the end of VDT when Lucy, Edmund and Eustace meet Aslan, Lewis describes how the comes down and meets the earth and how it looked like a blue glass wall and when Aslan sends them back to our world and mentions how there was " A tearing of the blue wall" which would imply that it wasn't an illusion. Plus there is the fact that the sun seems bigger the further east the Dawn Treader go's which wouldn't really make sense on a round world. aileth wrote: And was Aslan's country a ring? Maybe Narnia was a sphere--only they were inside it And Aslan's country was around the "rim" of the saucer, the top half, that is. That's an interesting idea, though the book seem to indicate that they are only to the east since we know Aslan always comes to Narnia from the east and in the Silver Chair Jill and Eustice are blown to Narnia from the east. narnia fan 7 wrote: It's always seemed clear to me that the world of Narnia was flat, based of what we learn at the end of VDT when Lucy, Edmund and Eustace meet Aslan, Lewis describes how the sky comes down and meets the earth and how it looked like a blue glass wall and when Aslan sends them back to our world and mentions how there was "A tearing of the blue wall" which would imply that it wasn't an illusion. Plus there is the fact that the sun seems bigger the further east the Dawn Treader goes which wouldn't really make sense on a round world. That's true. It could be flat. And the East is definitely important. I can't help thinking of Fledge and the children flying West to the garden. But perhaps that was not in Aslan's country--I'm not sure of that. I mean at that time--it is later, in LB. There was something in LB about the countries all being connected, but I don't have my copy here to check. And of course, Lewis hadn't written MN and LB yet when VDT was published. DiGoRyKiRkE wrote: Not necessarily. . . . the Centaurs would have been able to tell by looking at the stars of OUR world that OUR world was round, but if they only sky they'd ever studied was that belonging to a flat world, then they would have considered such astronomical differences to be commonplace. Maybe I'm not following you completely... in theory, wouldn't the Centaurs have been able to infer the shape of their earth in the same way the ancient astronomers of our world were able to infer the shape of the earth, either by the study of the stars or the shadows? I suppose it's possible that the astronomical phenomenon in a flat earth world would be so irregular that logical conjecture would be almost impossible, but I get the sense that the dance of the stars was fairly predictable in Narnia, or else the Centaurs wouldn't have been such gifted interpreters of the skies. aileth wrote: I might never have known that our world was round, if I hadn't been told. Perhaps that is because I'm not a very scientific, observing person. No worries, I'm not exactly in the Galileo category either. I've always had a really hard time visualizing this myself. Imagining it as on the rim of a saucer would seem to be about right, but then we have the other mindbending idea of how the further you go in, the larger it gets, like peeling the layers of an onion where the layers get larger and larger the deeper you go. Ah, Lewis, you mess with my mind. narnia fan 7 wrote: Plus there is the fact that the sun seems bigger the further east the Dawn Treader go's which wouldn't really make sense on a round world. Very good point! Even though the moon and sun here on Earth can appear larger when rising or setting, Lewis makes it pretty clear in VDT that the sunrise at Ramandu's Island was startlingly enormous—that the voyagers had been suspecting that it was larger for some time, but this was the moment that they really knew that the sun was closer and they were approaching the end of the world. Plus, there's also talk in those later chapters about the sunlight being almost too abundant to bear until they had drunk their fill of the sweet waves. narnia fan 7 wrote: That's an interesting idea, though the book seem to indicate that they are only to the east since we know Aslan always comes to Narnia from the east and in the Silver Chair Jill and Eustice are blown to Narnia from the east. Does it say that he always comes over the sea from the East, though? I can remember it saying that he comes over the sea, but I can't remember if it ever says specifically from the East. I mean, obviously he does, but he may not always come that way exclusively. I think there may be something symbolic about Aslan's country being where the sun rises, though, rather than where it sets. It makes one wonder what the Western edge of the world looked like. . . The only hint we get comes from The Last Battle, where "strange creatures from the uncharted lands of the west" come rushing forward to the stable door. No, the garden in MN wasn't in Aslan's country it was just on a high mountain west of Narnia. But you're right about LB the garden along with everything else was in the real Narina which was in Aslan's country. The Rose-Tree Dryad wrote: Does it say that he always comes over the sea from the East, though? I can remember it saying that he comes over the sea, but I can't remember if it ever says specifically from the East. I mean, obviously he does, but he may not always come that way exclusively. I think there may be something symbolic about Aslan's country being where the sun rises, though, rather than where it sets. I was mainly thinking of this quote from Reepicheep in VDT. And as you mentioned it says several time throughout the series that Aslan always comes from over the sea, and seeing as the only sea that connects to Narnia is to the east, that has always given me the impression that Aslan's country is only at the eastern end of the world, of course that may not be the case but it does seem to be imho what Lewis was implying. What an interesting discussion! It has been so long since I've read VoDT, but narnia fan 7 and The Rose-tree dryad's comments about the sun being bigger in the east makes the flat world with seasons actually seem possible. This is all theoretical, please don't take this too seriously . But let's presume that the sun in Narnia is very close to the land, and because of that also much smaller than our sun. Now, in our world the sun is far enough that the radiation coming from it can be approximated as a flat plane, even if it is really a sphere (the sphere being so large compared to the earth). A smaller sun very, very close to the ground sends radiation/light in an expanding sphere, and the "equatorial" places like Calormen would simply get more radiation and so more heat from being simply closer to the sun. The lands further away to the north (and south) are all gradually getting less and less heat, and so have a colder climate. The seasons would not come from the position and tilt of the earth, but from the movement of the sun itself. What if the sun simply moves northward during the spring and southward during the fall? The area closest to the sun would move, and so the amount of heat coming to a specific area would change. And the Narnian stars are larger and brighter than in our world, even though they are human-sized. Either they are ridiculously bright when in the sky or they are actually close to the earth. So, I think the Narnian world is flat. It is possible to manipulate the world to almost fit it. And it is also nice to think of that world as just a valley surrounded by the mountains of Aslan's country. DiGoRyKiRkE wrote: It makes one wonder what the Western edge of the world looked like. . . The only hint we get comes from The Last Battle, where "strange creatures from the uncharted lands of the west" come rushing forward to the stable door. I've always imagined the Western Wild as being shadowy and remote, and then what was left of the twice-populated country of Telmar somewhere beyond it. I've always thought of Telmar as being a seaside nation because a) Telmarine, which makes one think of the sea, and b) nearly all large and ancient civilizations were located close to the sea. But we don't really know this for sure; all we know is that the reason why the Telmarines left their home was because of a famine. narnia fan 7 wrote: I was mainly thinking of this quote from Reepicheep in VDT. Ah, thanks very much for digging up that quote! I was thinking of what Doctor Cornelius was saying in PC and had forgotten that line from Reepicheep. Like you say, it could be that the Narnians just say that he always comes from the East because that's what they've always known him to do, whereas inhabitants on the Western side of Narnia may say otherwise, but Lewis likely intended for Reepicheep's words to be taken at face value. Ooh, I really like your ideas about how the flat world universe might have worked, Mehinen! Very clever. Especially the part about the sun being closer and smaller fitting better with Father Time destroying it by squeezing it like an orange in The Last Battle; that makes fairly reasonable sense to me. Now, granted, I'm hardly an expert on this sort of thing (and I suppose neither was Lewis! ), but it seems like as good an explanation as any. We know our world is roundish because we have been lucky enough to observe it from space. Before modern times, Nicholas Copernicus and Galileo Galilei, among others, had much difficulty in convincing geocentric authorities that the Sun is the centre of the Solar System, and not the Earth. One Australian astronomer and physicist, Dr Nicholas Lomb, showed us a presentation of Saturn with a backlit Earth in the foreground, to give us a greater idea of the relative sizes of both planets. Earth, with all its history, is barely a small disc in comparison with a huge beautiful, beringed, Saturnian mass which could float on water if there was a bathtub big enough to hold so much water. In effect, the Earth is slightly more elliptical than round. And hard to map accurately by picturing it on a flat surface. A mercator projection is distorted into a grid and makes India and Australia look barely bigger than Sweden or Greenland, and we know for a fact that is not the case. Even if our world is round, out there in space, there are some odd-looking lumps of rock and debris, comets, asteroids and meteors that aren't round. Though the Ancient Greeks knew the world was round much of what they knew was lost when earthquakes demolished great libraries from Pergamon to Ephesus and when the Great Library of Alexandria was burned down and destroyed by invading Arabic forces after 632 AD, not for the first time. I was taught that by the 1450's AD the Portuguese Prince, Henry the Navigator, had been researching how to get to China going south and east around Africa, an ocean-going venture that was previously regarded with horror by sailors of the time, who were just as vague about the rest of their world as the superstitious Telmarines and sailors of VDT's Lone Islands. Even the great traveller, Marco Polo, whose travels to China were recorded in the 1200's, was regarded with suspicion. So the flat world perception might well be because those in Narnia only perceived the parts of their world they actually saw and touched, whatever shape it was. The talking animals of Narnia were immensely practical, and left astronomy to what we regard as mythical creatures, called centaurs, whose eating habits seem so laborious that Jill and Eustace might wonder where they found the time to chart the heavens. The Calormenes were more interested in power and trade, the Lone Islands were more interested in their links with a large landmass to the West plus neighbouring islands and archepelagos such as are found in the Mediterranean Sea to this day. And the Telmarines, whatever their origins, were more interested in finding fertile, well-watered land to settle on and claim as their own. The Mediterranean Sea is named as such because it was regarded as the centre of the Ancient Greco-Romanic world. The Chinese called their country the Middle Kingdom because they, too, regarded their civilization as the centre of their world. And yes, they turned inwards, curtailing exploration of the oceans to the West after 1412 AD, after a new Emperor came to the throne. As a child, cleaning a veranda, I used to watch the dawn come up. The sky was a big blue inverted bowl of a day, which only the Sun and the waning moon might penetrate. At night the stars came out in this firmament to light a circular flat area bounded by the sea to the east and mountains on the western edge. It wasn't hard to imagine that my corner of the world was like a huge goldfish bowl, all layered, with England somewhere on the bottom part of the goldfish bowl. Or maybe it was part of the lid . You know down here, everything is upside down. Or maybe out in space it is you lot up in the Northern Hemisphere. I really will have to get my cat to tell me what he thinks of the world. If he cares, any more than his alleged relatives in their rather Narnia-centred world, which we never saw the whole of. How have I never noticed that before? Good eye Glumpuddle! I don't know how closely Lewis was involved with the illustrations I guess we can assume that Pauline Baynes made a simple mistake as the books do seem to suggest that Narnia was flat. @Crazface wrote: @Glumpuddle Perhaps Narnians use globes to navigate just like we use flat maps. What a discombobulating find, Gp. Just as soon as I thought I'd settled my mind on this one, too! Well, since Caspian was delighted by the idea of round worlds, maybe the globe was just a trinket or conversation piece, modeled off the spherical earths described in the fairy tales he had heard and loved. I can imagine him spinning it and wondering what it's like for people to walk around on the bottom of it.